Judith is an Associate Professor and a Certified Nutrition Specialist in the Department of Food, Nutrition and Dietetics at Kenyatta University. Her main goal is to bring about transformational change in livelihoods through translating nutritional science into sustainable action. Her research has centered on use of locally available resources and support systems to enhance food and nutrition security of individuals and communities to mitigate hunger, malnutrition and poverty in Kenya and beyond. 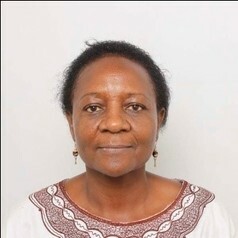 She has worked as a consultant for various international and UN agencies on development programs for informing policy for Kenya , Regional and Internationally, and has made a significant contribution to formulation of country policies, strategic plans and guidelines for addressing nutrition of vulnerable populations. She has published and disseminated her works widely. Prof. Kimiywe is a member of several professional organization including Africa Nutrition Society, Federation of Africa nutrition societies, Kenya coalition of Action for Nutrition among others. Appointed as an Expert Consultant – Joint FAO/Bioversity International Expert Consultation on Nutrition Indicators for Biodiversity – 2 Food Consumption Washington DC, 8 – 9 June 2009. She is an awardee of the CGIAR Award to dietary diversity Kenya Team, awarded the Vice Chancellor’s Award in recognition of attracting high number of research grants and best performing lecturer. Nominated Custodian of Dietary Diversity by Biodiversity International and has been nominated as Kenyan delegate to various high level global forums.